Gluten Free. Vegan. Low Glycemic Index. In New Brunswick, it can sometimes feel like no one has ever set foot where you’re standing. Wild, dense forests rise to meet the sky, and moose stride confidently through ancient Appalachian foothills. 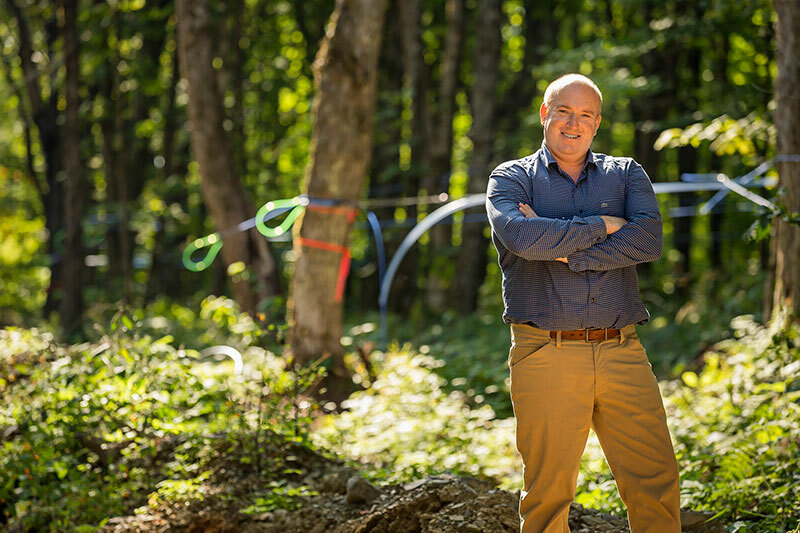 We named our company 47* North because that’s the latitude of our South Ridge maple farm in the Miramichi uplands, but to us it’s more than a line on a map – it’s a feeling. A wild, untouched sweetness that defines everything we do. 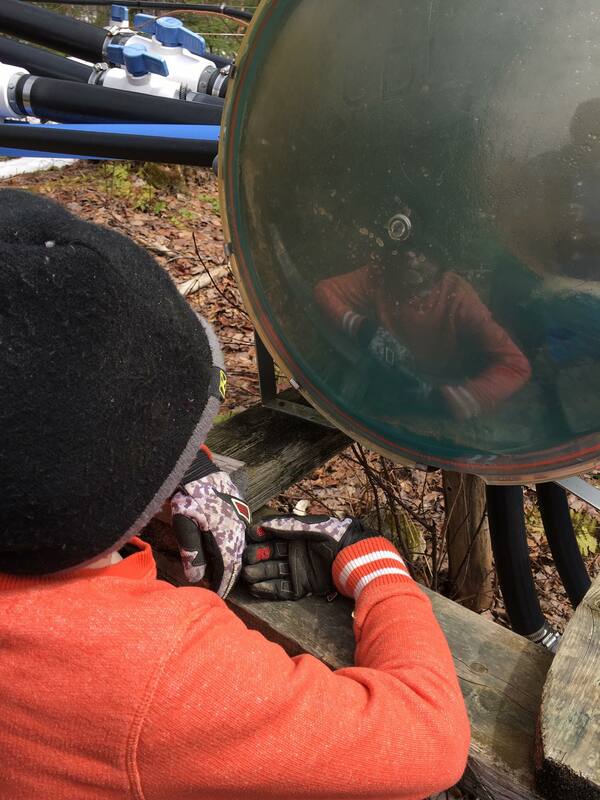 The simple process of syrup production begins with a tiny hole in one of our maples: we drill for sap, boil it, filter it, and enjoy it. That’s it. Our maple products are free from gluten and lactose and are perfect for health-conscious people who care deeply about taste, but also about what they put into their bodies. 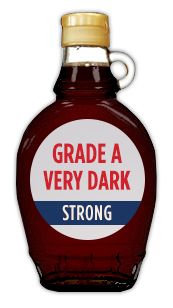 From bark to barrel to your kitchen table, we take pride in being able to bottle a little taste of Canada for people across the world. 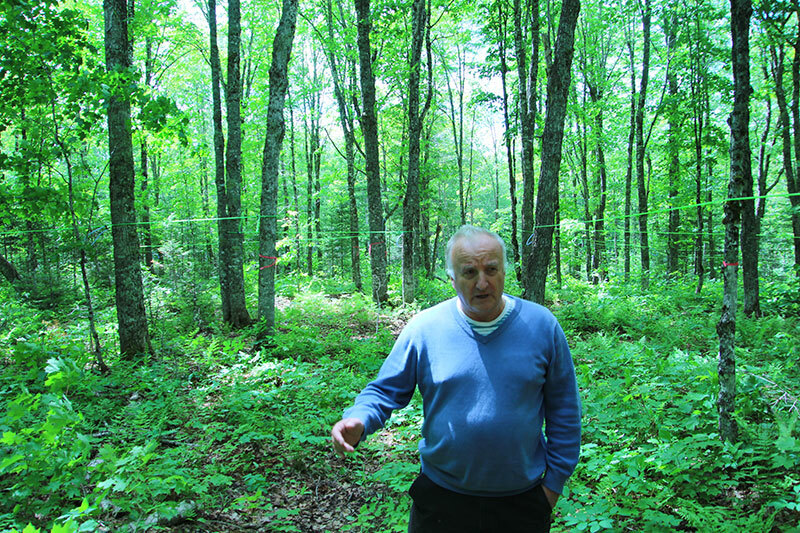 Our signature organic maple syrup comes from trees growing in the pristine forests of eastern Canada. With a lower glycemic index than other sugar syrups and a rich sweetness derived from naturally occuring fructose, maple syrup is the king of sweeteners. It comes from a place where people embrace country living, and the simplicity that comes with it. 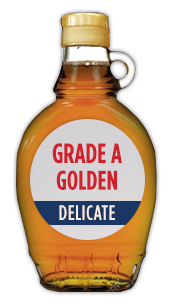 And like the trees and people who produce it, our maple syrup is honest and genuine. We don’t add anything to it that wasn’t in the sap dripping from our trees – no sweeteners, no colours, no flavours. Just pure Canadian sweetness, from our country to yours. 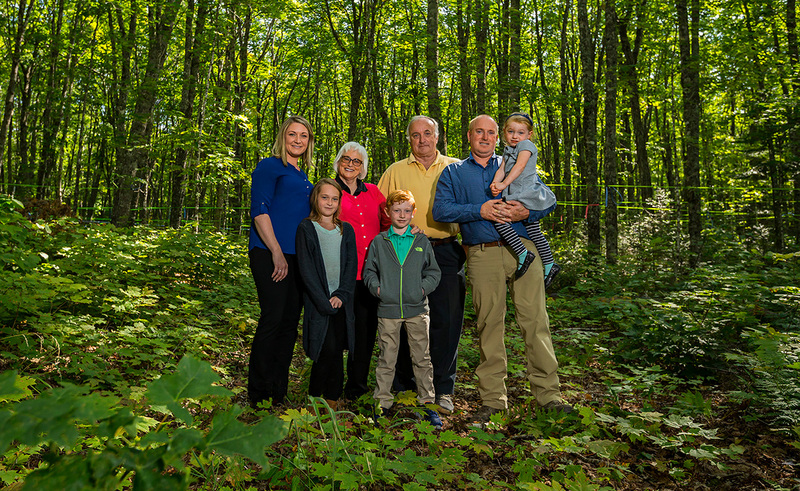 The province of New Brunswick, where we grow our maple trees, is one of the world’s leading producers of wild blueberries. Smaller than cultivated blueberries, deep violet and intensely flavoured, these hardy fruits have a tangy sweetness to them that brings to mind the rolling plains of the Acadian Peninsula. Our organic blueberry maple syrup blends wild blueberries with our own organic maple syrup for a taste that’s distinctly eastern Canadian. Cranberries, along with wild blueberries and Concord grapes, are one of three berries native to North America. Ruby red in colour and tart in taste, they are popularly sweetened and served during the Thanksgiving and Christmas holidays in Canada. Inspired by these cherished seasonal traditions, and free from the high-fructose corn syrup and refined sucrose used to sweeten other processed jams, our organic cranberry maple syrup helps the holiday season last all year long. Apple season is highly anticipated in Canada – its arrival means crisp autumn days, cozy sweaters and leaves in bold red, orange and yellow hues. Our organic apple maple syrup captures the timeless nostalgia of the season, blending a hint of juicy apple flavour with our classic maple syrup. It’s healthier than a chocolate spread or marmalade, but still perfect as a sweet treat enjoyed by the glow of firelight. 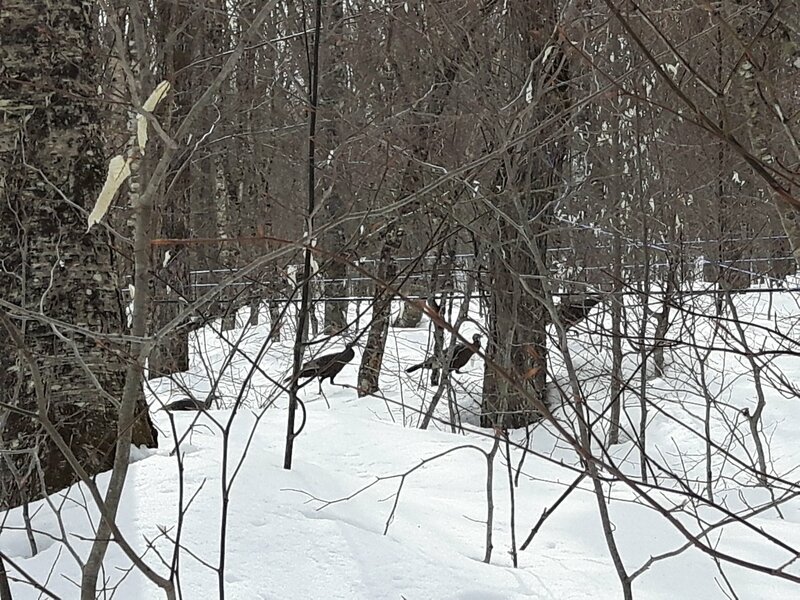 When the snow starts melting and the sap starts flowing, it’s time to harvest maple water. 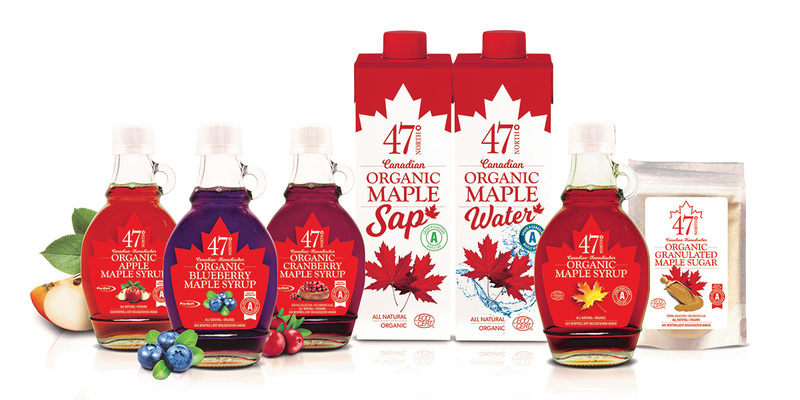 Our organic maple water is carefully tapped and packaged for a unique, truly refreshing taste of Canada. Boasting more than 40 nutrients, including antioxidants, polyphenols, minerals and electrolytes, our mineral water is ideal for those looking for a hydrating, nutritious and all-natural drink with just a hint of maple flavour. Straight from our maple trees to you, our organic maple sap is maple in its purest, most natural form. Like a fine wine, our maple sap is intimately influenced by its terroir – in this case, the Miramichi uplands of New Brunswick. Uniquely Canadian, regionally inspired and simply packaged, our maple sap is a taste of the land that nourishes our beautiful trees. 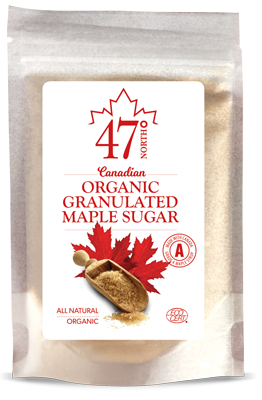 An amazing natural sweetener with that irresistible maple taste, our organic granulated maple sugar is made from pure maple sap. Sprinkled over yoghurt, tossed with some berries, or used in baking as a healthier sugar alternative, our maple sugar adds a delicate sweetness with notes of caramel and vanilla. A truly natural, gourmet delight! industry to make it easier for consumers. 47° North produces premium, organic and all-natural maple products at our farm in New Brunswick, Canada. Our name is inspired by the latitude of our South Ridge Maple Farm deep in the wilderness of this province. 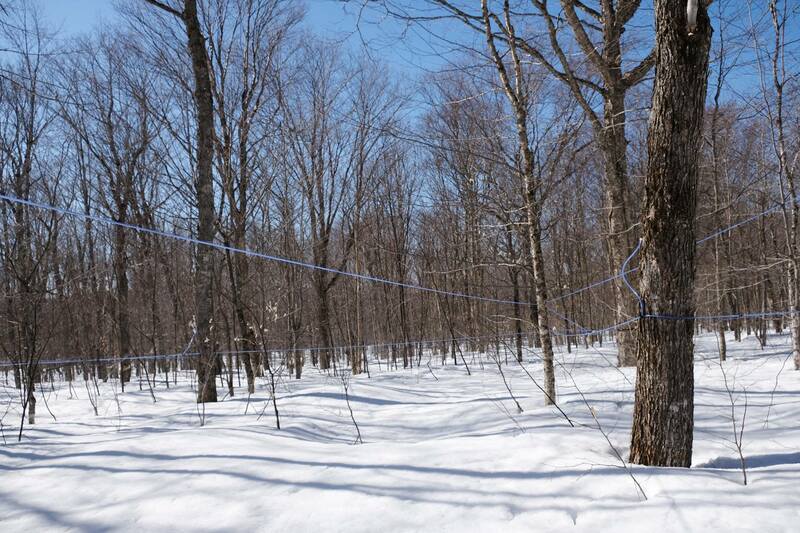 The terroir, characterized by the interplay between the ancient Appalachians and the sprawling Acadian forest, provides the sweetest maple sap in Canada. 47° North syrups are 100% organic with no added sugars, so all of our customers can enjoy nature’s natural sweeteners that we sometimes find ourselves taking for granted. 47° North is truly a product of its locale. Few maple producers are large enough to supply enough syrup annually for one brand, and as a result, most maple syrups on the market are blends from a variety of producers, diluting the subtle regional flavours. In contrast, our syrup is never blended with the offerings of others. The terroir of the Miramichi uplands soil in central New Brunswick imparts delicate notes of caramel and vanilla. With over 200,000 Canadian sugar maples in our forest, you get the consistency and quality of an estate bottled syrup that other bottlers simply cannot match.